I can help you reach your real estate goals with confidence and peace of mind! My top priority is always my client's best interest. I bring an abundance of energy, creativity, dedication, experience, and personal knowledge to my work. If you’re in the market to buy or sell a home and want an agent that exemplifies professionalism and honesty, while skillfully negotiating on your behalf, you’ve come to the right place. 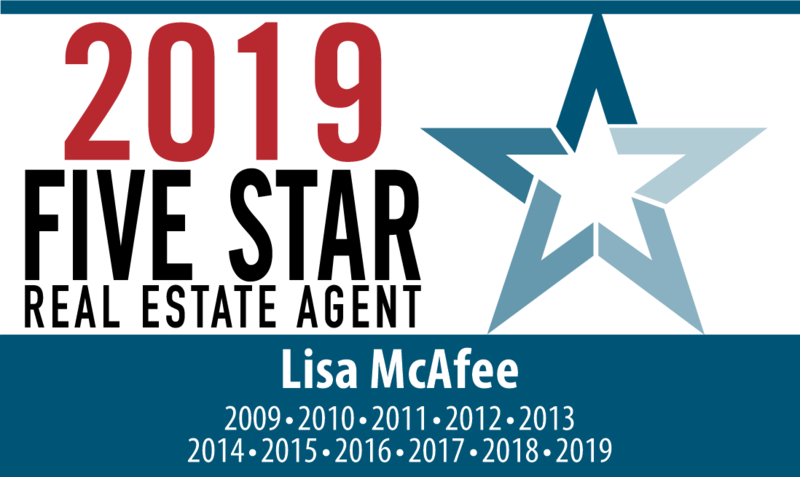 I'm honored to have been awarded the Five Star Agent award 11 years in a row for client satisfaction. After looking through my website, please feel free to contact me so that I can go to work for you!